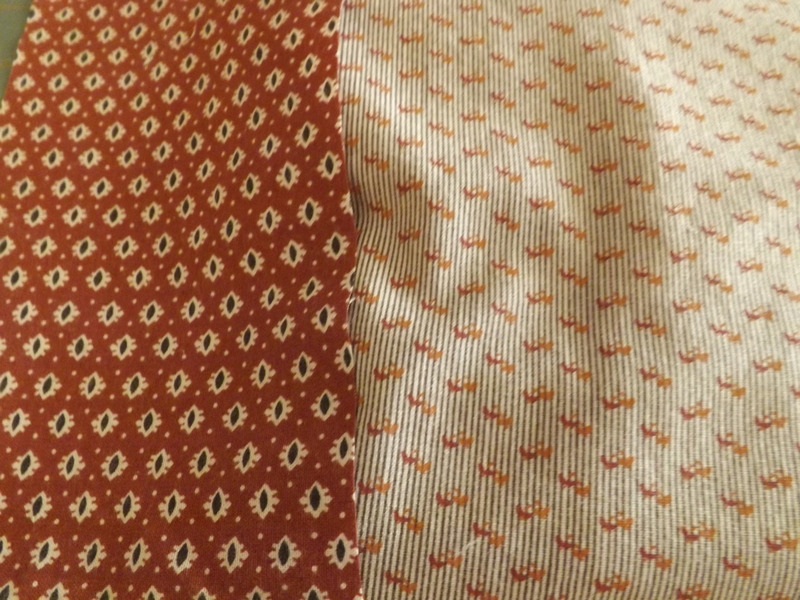 I neglected to add some close up pictures of the border fabric. I got a new camera today and I have been having new camera issues but I got a few pictures of the border fabric. It is hard to tell from the pictures but the grayish looking fabric is more a lavender gray and the design is cheddar and madder. I am trying to learn how to get accurate color with the new camera but I need to learn the new settings. 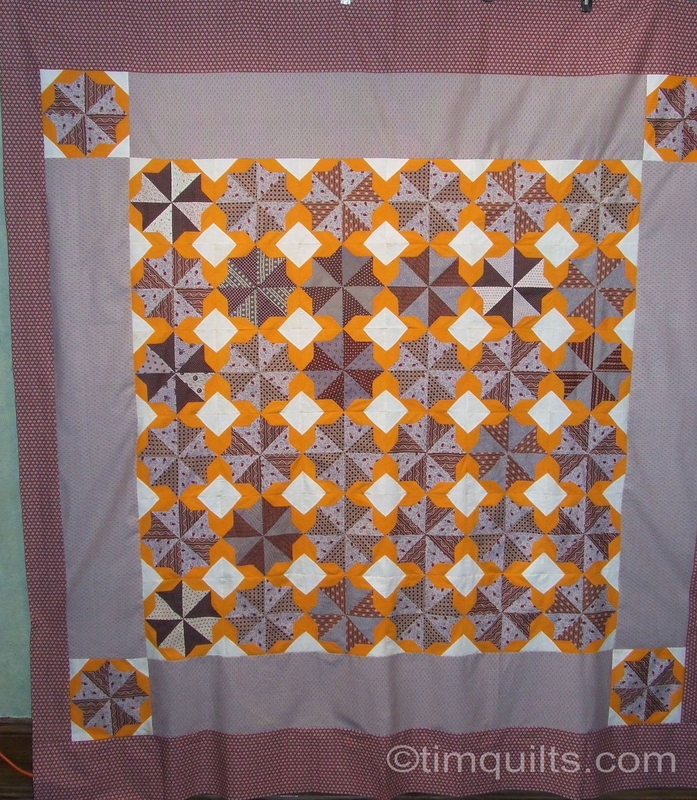 This entry was posted in Quilts and tagged antique quilt blocks, cheddar quilt blocks. You made a great looking design from all those blocks-bravo to you. very impressive. And Teddy is divine-what kind of terrier? and such a relief from everyone’s cat photos, to which I am highly allergic. Yay for dogs( just keep him away from the quilt- they like to chew, I’ve had many munched antique hooked rugs in my time. Teddy was a mystery dog for quite a while. he was rescued from a a shelter….he had to have all his hair shaved to get rid of all the matts and he looked very different…the vet said she thought he was a mixed bread….but was pretty sure he was some terrier…likely jack rusell …I didn’t think it mattered, but his hair grew back and he started to become very friendly and cute…..every time he was out for a walk someone would ask what kind of a dog he was and he would eat up the attention…..anyway I finally did a dna test so that I would have an answer and it turns out he is a miniature schnauzer , the color threw us all off, but it turns out there are some white ones, but the akc doesnt recognize white as an accepted color for the breed, the other thing is that the normally have their tails docked and ears cropped but he didnt so that give him a different look as well….fortunately he only chews his own toys!….he does like occasionally curl up on the quilt that I am working on…on the part that drapes on the floor off of the hoop. you are right about cats!….seems like quilters tend more to be cat people….not me! Just beautiful! And Teddy is pretty wonderful too. For color differences, check your white balance setting (if you’re using a DSLR). It makes a huge difference! And what a sweet looking Teddy!!! Teddy is gorgeous – I love dogs and don’t like cats!! At the moment most of my quilt photos have to be taken with the lights on, and as you say, it gives them a yellow tinge – oh for some bright sunny weather!! They might be little but have BIG personality! Love your quilts and I vote for hand quilting, too. My husband, a new quilter isn’t too sure about hand quilting just yet and may have the machine quilting bug. Adore Teddy! And, I may have part of the mystery for you concerning his ancestry. Teddy is very much like our Watson who is a pedigree Miniature Schnauzer. He is dark charcoal, with docked tail and ears and has the infamous Schnauzer eyebrows and beard (we took Watson in when he was 11 months old). Teddy is amazingly like our Baby Girl who we rescued this past Sept. She is considered “salt and pepper” (light grey for a Schnauzer) and has the docked tail and longer ears (like Teddy) which are more in keeping with the European style for Schnauzers. Teddy and Baby Girl could be brother and sister. Like Teddy, I do believe there is a very similar breed mixed in her family tree. Does Teddy have incredibly long eyelashes? Is he crazy smart? Then BINGO my friend! You are the proud Poppa of a Schnauzer. We say our Watson is a little boy zipped up in a dog suit. hand quilting isn’t for everyone….and neither is machine quilting….but both can be beautiful! Well, there you go! Love is grand when you quilt AND have a Schnauzer in your life. I agree about the hand/machine quilting. 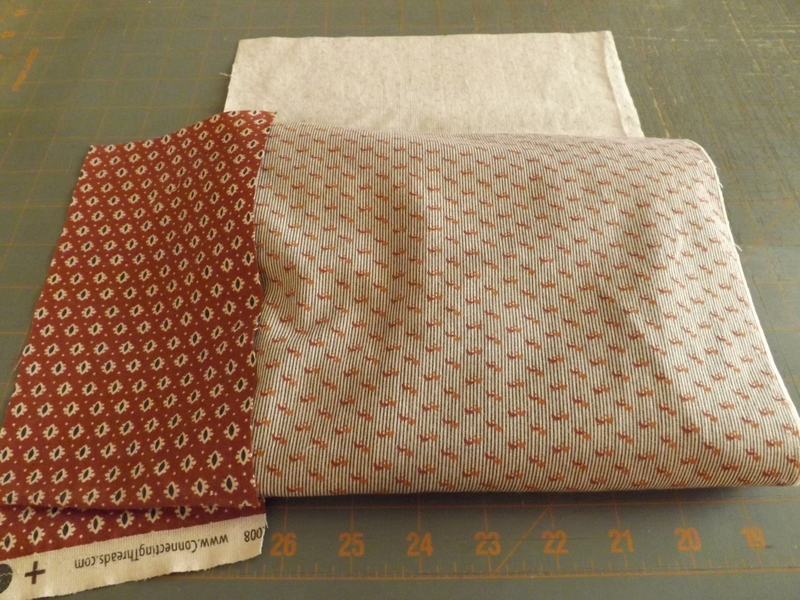 I so love the hand quilting, but as my arthritis advances may have to convert to machine. We shall see. Btw, you mentioned you had a new camera. I’m looking a cameras now. Do you have any recommendations?